Juanita Bynum is a religious author, televangelist, and singer who has accomplished several successful projects. She became a household name in Christian circles after preaching a sermon titled No More Sheets at a T.D. Jakes conference more than two decades ago. In addition to being a spiritual coach, Bynum is also an activist who advocates for women empowerment. Discover interesting facts about the evangelist including her marital life which has always made headlines. Juanita Bynum is an Illinoisian born on January 16th, 1959. She is one of Thomas Bynum Sr and Katherine Bynum’s five kids. Juanita and her siblings Kathy, Janice, Regina, and Thomas were all raised in a decent Christian Pentecostal home in Chicago. Bynum, for her high school education, attended Saints’ Academy Church of God in Christ High School, in Lexington, Mississippi. Bynum answered the ‘God call’ quite early in her life. She began preaching in neighborhood churches shortly after high school. Having gained recognition through her teachings, she further launched a series called Lessons in Submission. Juanita was sprung to the limelight in 1996 after Bishop T.D. Jakes discovered her speaking talents and later invited her to teach at a singles’ conference. Thereafter, she continued educating, equipping and empowering people through various coaching platforms. Notably, she is the organizer of the Women’s Weapons of Power Conference, an annual event that successfully held for six years (2000-2006). She further reached international audiences when she became part of a regular broadcast on the Trinity Broadcasting Network (TBN). 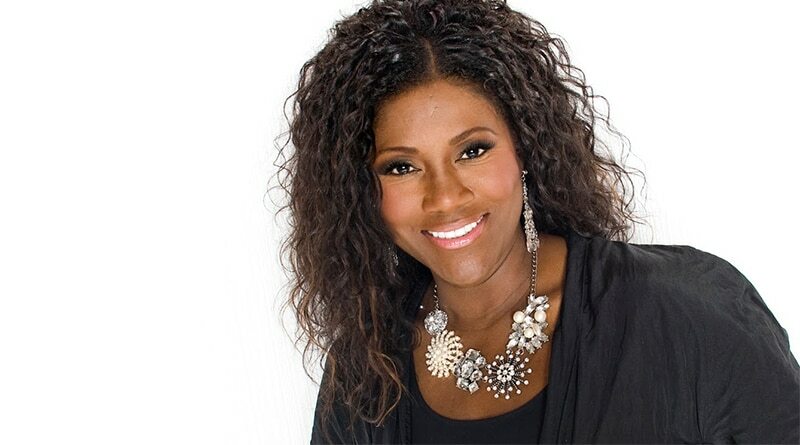 A Georgia-based speaker, Juanita Bynum is the author of best-selling books such as No More Sheets, Threshing Floor, Walking in Your Destiny, My Spiritual Inheritance, Heart Matters, Matters of the Heart, and many others. As a gospel singer, she has several albums to her credit including the 1997 audio and videotape series – No More Sheets, Gospel Goes Classical, The Diary of Juanita Bynum and Morning Glory, among others. Juanita Bynum has been married twice. There is a dearth of information about her first marriage which was in the 1980s. The marriage allegedly ended on the grounds of domestic abuse and for reasons best known to the singer, she vowed not to disclose details about her divorce. Bynum’s second marriage was to Bishop Thomas Wesley Weeks, III, the founder of Global Destiny Ministries, based in Duluth, Georgia. The ex-couple who reportedly met at a café dated for about six weeks before tying the knot sometime in 2002. However, they officially wedded in a grandiose ceremony the next year. Bynum and Weeks seemed like a perfect match until August 2007 when news emerged that the singer was allegedly assaulted by her husband in an Atlanta parking lot. Weeks who later pleaded guilty to the aggravated assault charges was sentenced as a first offender and imprisoned for three years. In addition to that, he was made to attend anger management classes and perform 200 hours of community service. After about a month of the attack, and six years of marriage, Juanita Bynum filed for divorce. Since then, the televangelist has not remarried. Having suffered domestic abuse in both of her marriages and the resultant traumatic effects, Bynum has perhaps chosen to guard her heart jealously and focus solely on her career. Her relationship status is currently uncertain. Juanita Bynum’s 2003 wedding with Bishop Weeks was a televised ‘million-dollar’ celebration cost an estimated $1.2 million. At the lavish event, Bynum’s wedding gown and headband which were both adorned with Swarovski crystals cost $65,000 and $6,000 respectively. Explaining the reason for the expensive wedding, Bynum said her wedding day was one of the greatest moments of her life. According to her, the event was supposed to be the defining moment of her life and she made it that big because she had originally planned to stay married. Juanita Bynum was once a lesbian as revealed in her book No More Sheets. Again in 2009, the televangelist raised eyebrows after her speech at an ordination service for a homosexual minister. Bynum was arrested in April 2013 for failing to appear in court in relation to a lawsuit wherein she was obliged to pay the sum of $140,000 which she was owing to an entertainment company. Juanita Bynum is an accomplished author, televangelist, and singer. As a singer, some of her musical projects recorded huge commercial success. Though Juanita suffered some financial setbacks during her second divorce, she has since bounced back. Bynum’s net worth is currently estimated at $10 million. Bynum stands at an average height of 5 feet 4 inches. Her body measurements are bust – 34 inches, waist – 24 inches and hips – 35 inches. After her second divorce, Juanita Bynum revealed in an interview that she was abused both mentally and emotionally in her marriage. According to Juanita, she had a bitter experience of abuse with her ex-husband and was broken after their divorce. Bynum also confessed that she had suicidal thoughts that often popped up in her mind as a solution to her depression. Thankfully, she overcame that phase of life and continues as an activist for women empowerment.